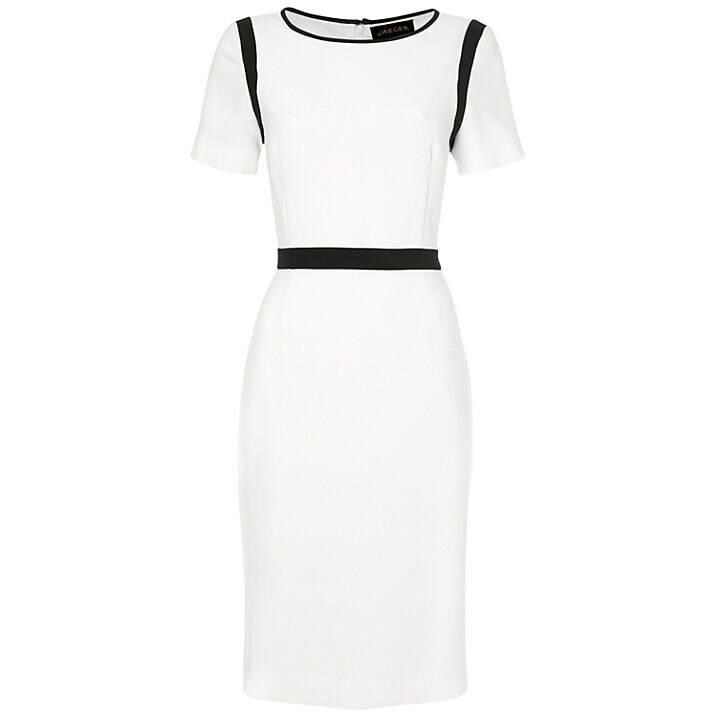 The Duchess of Cambridge added this classic sheath dress to her closet in June 2014 and first wore it while visiting the National Maritime Museum in Greenwich. 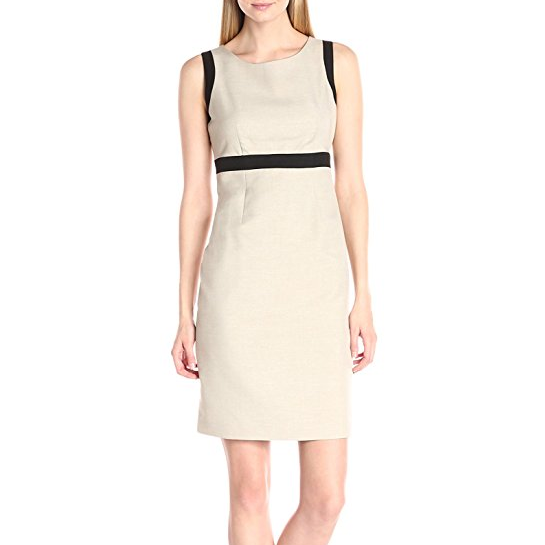 This sleek ivory sheath dress features navy trim along the round neckline, arms and waist. 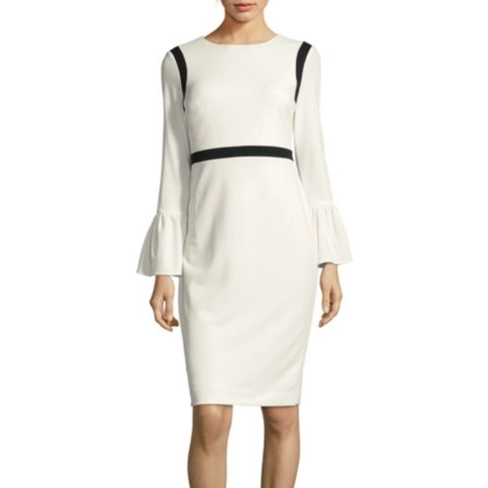 STYLE FILE: Jaeger Ivory Contrast Crepe Dress as seen on Kate Middleton, the Duchess of Cambridge.